The PRS SE AX20E pairs mahogany back and sides with a solid spruce top for warm, balanced tone. When matched with traditional "X" bracing, which allows the top to vibrate while providing stability, the SE AX20E has a punch that stands alone beautifully or cuts through the mix. 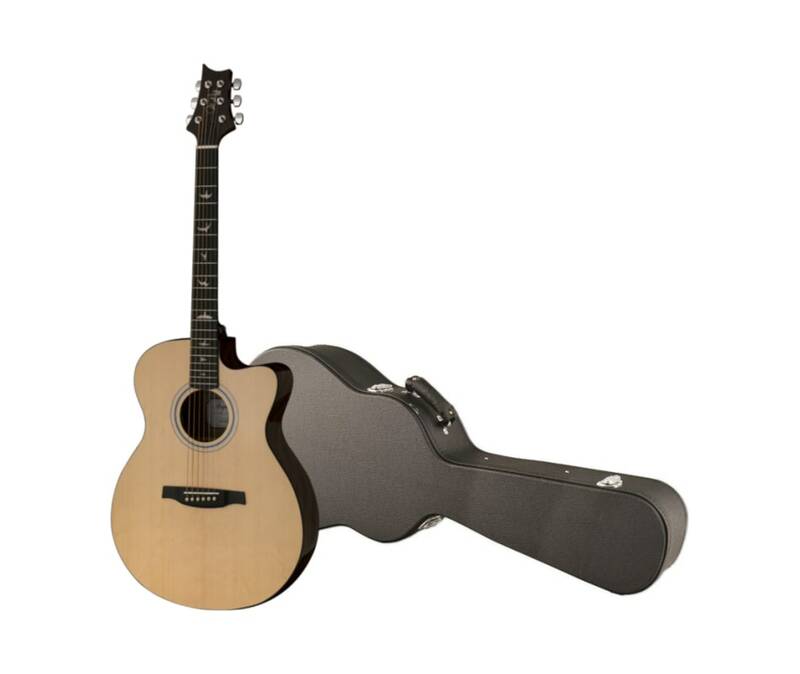 The Angelus Cutaway body shape delivers comfort and playability, well suited for picking and fingerstyle playing. Plugged in, the Fishman GT1 pick up system delivers dynam- ic, organic tone and allows players to easily take this guitar from rehearsal to the stage. This electronics system features an undersaddle pickup and soundhole mounted preamp with easy-to-access volume and tone controls.